Do you know what makes your car move? Sure, your engine and sure your transmission helps but you’re not going anywhere without your drive axle. 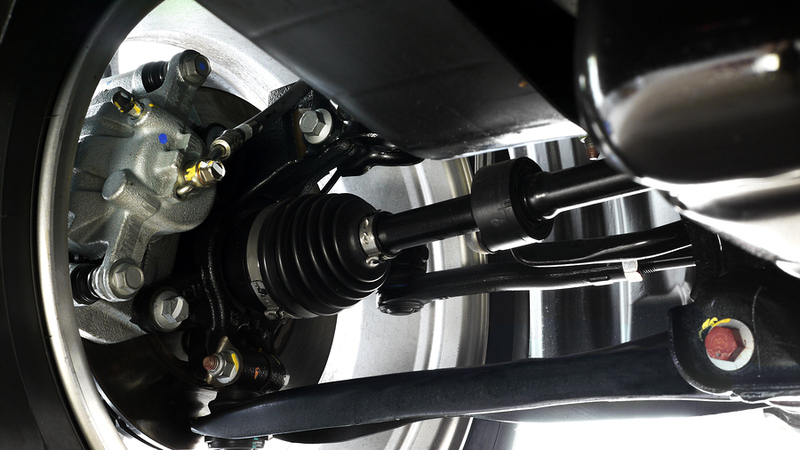 The drive axle takes the power from your engine and transfers it to your wheels and tires. Now some vehicles have the drive axles in the front and some have it in the rear. On four wheel drive vehicles they have it in the front and the rear. Your drive axle consists of a ring and pinion gear, axle shafts (or CV shafts in front wheel drive cars) as well as u-joints. All these wear over time and cause major headaches if checked. So take your vehicle to Elkhart Mechanics and we can check everything out and make sure you won’t have any problems down the road. The drive axle is the shaft that connects two wheels on opposite sides of the vehicle and is powered by the engine. In some cars, the drive axle attached to or inseparable from the body of the vehicle, in which case it is called a transaxle. In most wheeled vehicles, including non-motorized ones like horse-drawn carts, the drive axle must support the weight of the vehicle, but in front-wheel drive cars with independent suspension systems, the drive axle does not have to support the vehicle’s weight. Most front-wheel drive cars made in recent years have a transaxle consisting of the gearbox, differential, and the front axle. The gearbox and the differential are sometimes referred to as the transmission. In this case, the front axle consists of two halves, connected at the differential by universal joints. On the other end of each half axle is a constant velocity joint which connects it to the wheel. The constant velocity joint allows the wheel to roll as well as to turn. Rear-wheel drive vehicles also have an axle with a differential, but it is at the back of the car. especially hard on them. A faulty constant velocity joint could also cause stress on the boot, so if there is a problem with your boot, it is a good idea to check the CV joint.